Dissociative anaesthesia i.e dissociates thalamus from limbic system. Myocardial O2 demand increases -- therefore avoid in Ishaemic heart disease , Hypertention and aortic aneurysm. NDMR are potentiated by ketamine. Benzodiazepines increase the frequency of the chloride ion channel opening at the GABAA receptor (pharmacodynamics: This increases the potency of GABA). It is the 1st drug to decrease seizures in ICU. CVS : Minimal CVS depression. MOA : binds to a distinct site which is associated with Cl− ionophores at GABAA receptors and increases the length of time which the Cl− ionopores are open, thus causing an inhibitory effect. Tennis elbow occurs in the lateral side of the elbow region, but more specifically it occurs at the common extensor tendon that originates from the lateral epicondyle. Non-inflammatory, chronic degenerative changes of the origin of the extensor carpi radialis brevis (ECRB) muscle are identified in surgical pathology specimens. Positive if a resisted wrist extension triggers pain to the patient. Sir Sachin Ramesh Tendulkar suffered from "Tennis Elbow" in 2004. He announced his retirement from ODIs today. We will miss you " Sir ". Adequate induction dose will cause loss of eyelash reflex. binds at a distinct binding site associated with a Cl- ionopore at the GABAA receptor, increasing the duration of time for which the Cl- ionopore is open. The post-synaptic inhibitory effect of GABA in the thalamus is, therefore, prolonged. Patient looses consciousness in 30 sec and regains in 20 min. Decreased response to hypoxia & hypercarbia. Crosses Placenta and has some antithyroid activity. It is Microsomal enzyme inducer. Induction of hepatic enzymes increase the rate of metabolism. Lower limb buds bulge from the lateral aspect of which segments of the trunk ? The upper and lower limbs develop from limb buds that arise from the lateral body wall during the 4th and 5th weeks, respectively. Upper limb -> C5 - T1 segments. During the 5th week, lower limb buds bulge from the lateral aspect of the L2 - S2 segments of the trunk. Also, during the seventh week of gestation the limbs rotate in opposite directions. The upper limb rotates 90◦ laterally, so that the extensor muscles lie on the lateral and posterior surface and the thumbs lie laterally, whereas the lower limb rotates approximately 90◦ medially, placing the extensor muscles on the anterior surface and the big toe medially. or chronic lung diseases (alveolar proteinosis, exogenous lipoid pneumonia). Osteosarcoma shows Biphasic Pattern of "INCIDENCE" , its not the histology. A biphasic pattern of incidence of osteosarcoma has been observed; peaks have been noted among adolescents (rapid growth of long bones) and in the elderly (secondary tumors arising in association with Paget disease or within previously irradiated tissue). 63. More sensitive indicator of thyroid insufficiency? 64. Brushfield spots can be seen in? 65. Bronze diabetes occurs due to overload of? Q. Muscle that can extend the index finger at interphalangeal joint include all except ? d. Extensor carpi radialis longus. Wrongly answered at various places as option C.
Option C is NOT the answer here. We had already answered this with proper explanation on our facebook notes. On request of our readers - we are reposting the question with explanation here. The interossei are muscles between and attached to the metacarpals. They insert into the proximal phalanx of each digit and into the extensor hood and are divided into two groups, the dorsal interossei and the palmar interossei. All of the interossei are innervated by the deep branch of the ulnar nerve. Collectively, the interossei abduct and adduct the digits and contribute to the complex flexion and extension movements generated by the extensor hoods. Dorsal interossei are the most dorsally situated of all of the intrinsic muscles and can be palpated through the skin on the dorsal aspect of the hand (Fig. 7.99). There are four bipennate dorsal interosseous muscles between, and attached to, the shafts of adjacent metacarpal bones (Fig. 7.99). Each muscle inserts both into the base of the proximal phalanx and into the extensor hood of its related digit. the fourth dorsal interosseous muscle inserts into the medial side of the ring finger. The first palmar interosseous muscle originates from the medial side of the palmar surface of metacarpal I and inserts into both the base of the proximal phalanx of the thumb and into the extensor hood. A sesamoid bone often occurs in the tendon attached to the base of the phalanx. The second palmar interosseous muscle originates from the medial surface of metacarpal II and inserts into the medial side of the dorsal expansion of the index finger. The third and fourth palmar interossei originate from the lateral surfaces of metacarpals IV and V and insert into the lateral sides of the respective dorsal hoods. Like the tendons of the dorsal interossei, the tendons of the palmar interossei pass dorsal to the deep transverse metacarpal ligaments. MSH2 and MLH1 account for the majority of mutations in HNPCC families. 5. Bronchoscopy – Best for double lumen tube. In Child : Uncuffed tubes are used. Narrowest part of Child's airway : Subglottic. Narrowest part of Adult's airway : Glottic Opening. MC cause of hypoxia in single lung ventilation : Malpositioning of tube. 57. On CXR, all are true except. ? a.Normally there is less than 5 mm of soft tissue lateral to anterior segment bronchus of upper lobe. b.Anterior segment bronchus of upper lobe is seen as a ring adjacent to upper hilum. c.Air can be identified within the proximal bronchi but normal bronchial walls are only seen end-on. d.In 80 % of subjects the left hilum is higher than the right and in 20 % they are at same level. A. No creases on sole. b. Play peek a boo. c. Pick up a pellet with thumb and index finger. d. Build a tower of 3-4 cubes. 42. The following structures are attached to the greater tuberosity of the humerus except ? 43. Muscle that can extend the index finger at the interphalangeal joint include all except ? 47. Major component of Soda lime is ? 31. The following substances are cell inclusions except ? 22. Sodium fluoride is used for preservation :. ventricular fibrillation . Which of the following reasons is responsible for this ? 26. Which of the following is required forcrystallization and storage of thehormone insulin? 30. Middle mediastinal nodes drain all except ? 14. Which of the following is a proinflammatory mediator of shock? 17. When extracellular k+ is increased from 4 meq to 10 meq what will happen? 18. Muscle relaxant not metabolized in human body ? 19. Breur lockhart reflex is seen during ? 20. MIESCHERS GRANULOMA is seen in histopathology of ? 4. Most common cause of congenital nephrotic syndrome? 6. Most common site of Morgagni Hernia? 7. Which anesthetic modality is to be avoided in sickle cell disease? 10. All are seen in injury to common peroneal nerve except? Surgically cutting the bone with help of osteome. High Tibial osteotomy -- Osteoarthritis Knee. 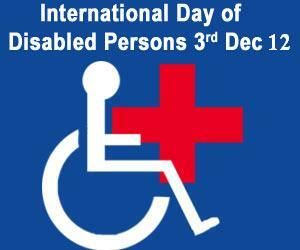 International Day of People with Disability (December 3) is an international observance promoted by the United Nations since 1992. 2012 Theme : Removing barriers to create an inclusive and accessible society for all. I -- Wound < 1 cm with no extensive damage / contamination. II -- Wound >1cm but <10cm with no extensive damage / contamination. III -- Open fracture with extensive soft-tissue laceration, damage, or loss or an open segmental fracture. 3 b. Periosteum broken and bone is bare. 3 c. associated with NeuroVascular damage. All open fractures are Surgical emergencies. 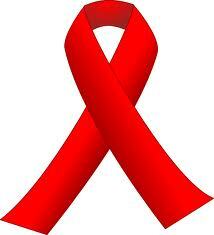 In 2012, World AIDS Day is the 25th time that the day is being observed. The awareness day was first established by the World Health Organization, in 1988.